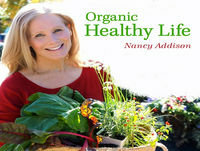 Leading health expert and radio show host Nancy Addison talks with Mark Kennedy, who is a survivor of Crohn’s disease (a type of inflammatory bowel disease). Mark discusses various techniques, foods, and lifestyle adjustments that he has found to be useful in reversing Crohn's disease. Mark talks about how he is now able to run marathons, but also putting meditation into this schedule. Nancy and Mark are both a part of the emergent workforce in Canada that provides corporate workshops.